Hello from Virginia!! My dad and I have completed our longest day of driving, and I'm officially back south of the Mason-Dixon line!! (There was even a little sign on the highway to show when we crossed over it- true story!) We were blessed with not having any traffic throughout the whole day, and that included going through the Bronx and Manhattan! That my friends is a rare day in NYC. By tonight I will be in my new home city of Charlotte, NC. We also have a couple fun rest-stops along the way... check my Instagram today for more on that! And be sure to keep searching #missalkheadssouth on Instagram to see all of my trip updates. Today's guest poster is one of my favorite bloggers. She was one of the Summer of Something New blog challenge gals, and aside from that she has become one of my best blog friends! We have been e-mail buddies all through the summer, and it's been a joy getting to know this sweet girl. Since we both go to school in NC I'm hoping to meet her in person this semester! She is also the one who made my cute little NC week button that I've been sharing the past few days. Without further ado, here's Gina! 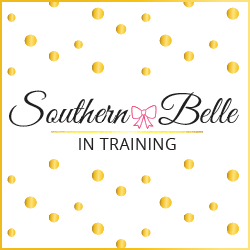 Hello Southern Belle in Training readers! 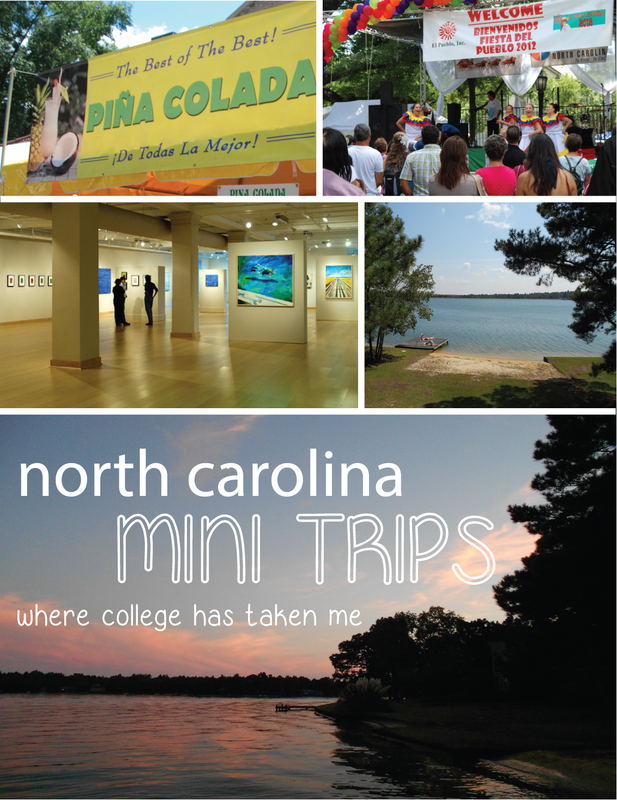 I am so pumped to be guest posting for Miss ALK today and sharing something I love, my college state of North Carolina. So to introduce myself, I'm Gina and I blog over at Gina Alyse, which is all about college, faith and creativity. I attend college in the triad region of North Carolina and being home for this summer has made me really miss this good Southern state and my Southern state of mind. One thing that I love about being in the triad region of North Carolina is that I can travel to so many places very easily! Raleigh is about an hour away and you can get to the mountains or beach in a few hours too. There are also some fun towns to visit around the triad region too. Today I have a list of 6 mini trips I took this past year--all from class field trips to retreats to some dancing fun! 1. Seven Lakes, NC: My sorority had a weekend retreat in Seven Lakes, NC. My school casually owned a lake house for students to use. (But sadly I think we sold it this year, side note.) This place was so peaceful. The water was wonderful in late September. We could even swim for a little bit! 2. Arizona Pete's | Greensboro, NC: Have you ever been country line dancing? Or mechanical bull riding? Well, get your cowboy boots out and come to this country bar in Greensboro, NC. Going line dancing was on my bucket list this year and even though I couldn't keep up with the regulars there, this was so much fun! And so Southern! 3. La Fiesta del Pueblo | Downtown Raleigh, NC: La Fiesta del Pueblo is a festival in downtown Raleigh where they celebrate Latin American culture and promote community service and activism. There were hand-made shops, arts & crafts, cultural exhibits, food trucks, and more! I went with a couple of girls from my Spanish class to get some credit for my class. It was a great way to spend the weekend! 4. Green Hill Center for North Carolina Art | Greensboro, NC: This gallery was very large and full of many unique art pieces. Again, I went for some class assignments, but I'm so glad I did because I loved stepping out of the classroom to experience art and culture in a new way. 5. Durham Arts Council Art Walk | Durham, NC: This is for my art lovers again as the Art Walk featured many artists in many locations around downtown Durham in April. Walking around downtown Durham was very fun and I would love to visit there some more. But the Art Walk was great! I was there working with the Durham Arts Council with two other girls. So it was part business, part fun. We even got some italian ice and some free necklaces! 6. Montreat, NC: A mountain cove town, Montreat is peaceful and relaxing. It's known for Montreat College and its conference center. I went to Montreat for a retreat with one of my Christian groups on campus. We stayed in some houses surrounded by beautiful trees, listening to the rain that kept falling that weekend. It was simply a refreshing time. While we were there, we had time to take advantage of the shops around. We got some amazing ice cream and even stopped in a used bookstore. Some others also went down to Asheville, NC, too. So that's most of the places college has taken me in North Carolina. It has been an absolute joy to live and explore in North Carolina. I love so many thing about this state, but by far my most favorite thing about North Carolina is the friends and people I've met during the past two years. 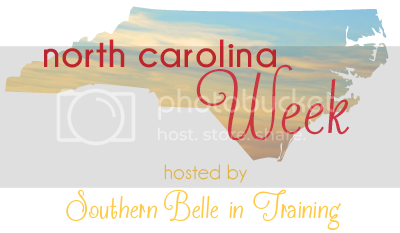 And I can't wait to meet and connect more with all of you NC bloggers! And if you're not from NC, I suggest you visit sometime! Or make the most out of traveling around your state. You never know what you will find! Yayy for you being in the South!! :) Montreat/Asheville is a beautiful area!